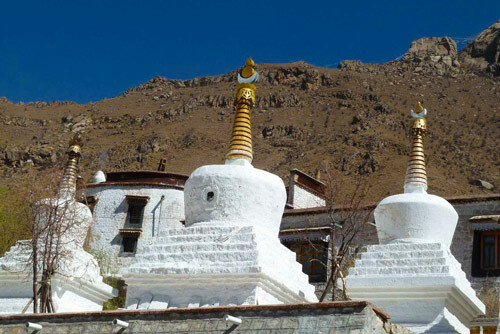 This 1 Day Pabongka Sera Hiking Tour starts from the Pabongka Monastery and ends at Sera Monastery. The trail connects the two place through other small monasteries, nunneries and heritages along the way. It is a short hiking tour in Lhasa, but the views are just amazing. If you have one more day in Lhasa, consider to add it into your schedule. Pabongka Monastery (Pabongka means ‘giant stone palace’ in Tibetan language) is situated about 9 km away from west of Sera Monastery, in north of Lhasa city. You may consider to take a taxi or walk for about an hour to the starting point of trekking road. 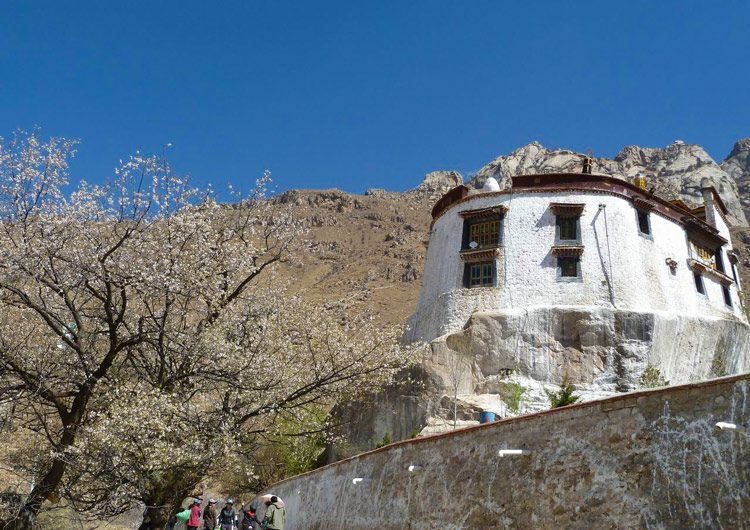 Pabongka Monastery is one of the oldest monasteries around Lhasa, built in the 7th century by King Songtsen Gampo. Besides, it is considered the birth place of Tibetan language. After hours of trekking, you will reach the Pabongka Monastery and rest a while in the teahouse (watch monks chanting). Then continue the hiking trail through valleys, (the trail is mostly a narrow goat/yak path or pilgrim trail which is more original and authentic). Trekking up the hill on a narrow path to the first stop, Tashi Choling Heritage which is a quiet place offering beautiful views. Then walk downhill to visit a Nunnery, enjoying the warm sunshine, clear mountain view and fresh air. In the afternoon, you will reach the Sera Monastery and visit the Monks Debating yard (Note: The Monks Debating begins from 3pm to 5pm, except Sunday). Furthermore, Sera Monastery is one of the three great monasteries in Tibet. And the Monks Debate is the most famous activity of Sera Monastery.